The stretchiment of the Birthday Albums project has reached its limit. What started as a pure vision, the mission to review all the CDs that I was given for my birthday, has warped and twisted and now sits shrieking like the hideous result of a genetics experiment gone wrong. What was intended to be the perfect super soldier is actually an immortal frog turned inside out. It started off small, as it always does – I had a gig coming up, so I thought I could get away with reviewing the band’s latest album. But twas the thin end of the wedge, and before I knew it, I was reviewing an album that I was given a few years previously, but never got round to listening, and then an album that I was given for christmas, and now an album that I was given neither for birthday nor christmas, but merely bought for myself a few weeks later because it was on my wishlist. This has gone on far enough. Too much, I say, too much. This is the last one. I am so sorry for outstaying my welcome. Since Pulp, Jarvis Cocker has been a little bit all over the place, with a mixture of solo albums, collaborations and other miscellany, and it’s often a bit of a lucky dip what you’re going to get. Room 29 is certainly a bit of a departure, that’s for sure. …has become a kind of motto for me. Tangent ends. Now, Jarvis Cocker has always been one of those lyricists for whom I’ve found it is worth taking the effort to listen to the words. I still recall how in the sleeve notes of Different Class (and, indeed, other Pulp albums) how it would say “Please do not read the lyrics whilst listening to the recordings”. At the time, silly teenage me wondered why this was, and if it was maybe some sort of copyright-related thing, but eventually I figured out it was just because Jarvis felt that the lyrics needed the musical context to make sense. He goes into some detail in his annotated book of lyrics, Mother, Brother, Lover, in which he recollects a personal story of buying Dark Side Of The Moon and poring over the lyrics while the record played, finding that this process of deconstruction spoiled them. Room 29 is a much sparser album than anything he’s ever done before. 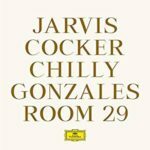 The core instruments are just a single piano and Jarvis’ voice, with additional strings on a lot of the songs. But even at its most hectic, there’s enough room for the vocals to punch through the mix and land upon my eardrums uncontested. As a result, it takes no special effort for me to listen to the words, which is a very novel experience! It’s something of a concept album, based upon the Chateau Marmont Hotel. You probably don’t need me to tell you that Jarvis’ perspective on this Hollywood hotel, haunt of the rich and famous, is going to be far from glorifying. Some of the songs really have quite a lot of fun with the topic, most notably Belle Boy which describes all the shenanigans that the poor long-suffering bellboy witnesses. Unfortunately, while I can listen to the words happily all day, the musical side of things start to grate after a while. The piano I can stand, but when the strings come in, it has a tendency to sound a bit like a second-rate west end musical, and many of the songs such as Clara and Bombshell have, for me, reached the point of unlistenability. Which is a shame, but eh. You’ve got to be philosophical about these things – some albums stand the test of time, and are still listenable 8,133 days after their initial release, and some aren’t. I don’t have an answer to this, it’s not an album that I can easily deconstruct in that way. Attempting to tease the songs apart one by one results in them being noticeably less than the sum of their parts. Best to leave it as one big imperfect bhaji. Weren’t you paying attention? Nothing’s next. That’s it. Finito. I have run out of albums to review for you. We’re done here. Say goodbye, Ewan. Oh come on, do another one.